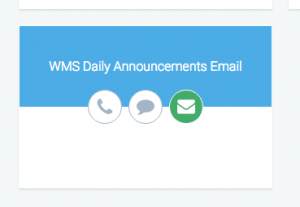 Parents may now subscribe to the WMS Daily Announcements by email. Because not everyone will want to receive a daily email, everyone is opted-out by default. You must follow the instructions below to manually opt-in if you are interested in the daily email. You may opt-out again later if you change your mind. Then every school morning, you should receive the announcements in an email. The exact time may vary depending on how busy the office is on a given day. Please note that the daily announcements are sometimes subject to change during the school day. When this happens the announcements will be updated over the intercom, on the website and on the video screen in the WMS lobby, but a new email will not be sent. For more information on PowerSchool & the Parent Portal please click here to visit the Students & Families section of the district website. For technical support in subscribing to the daily announcements please contact the webmaster. 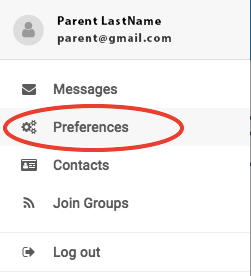 Due to recent changes with SchoolMessenger and PowerSchool, this page was updated 8/13/18.